The new Hyundai Sonata Plug-In Hybrid will be made available in all 50 states, but the reality is that actually getting one will be a whole lot easier in the ten Zero Emissions Vehicle (ZEV) states. The other 40 states, none of whom follow ZEV regulations set forth by California, will be filled with dealerships who will simply not choose to carry the plug-in model when it is released. 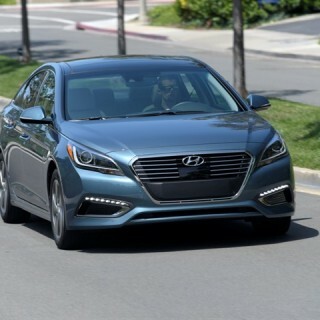 The 10 ZEV states – California, Connecticut, Maine, Maryland, Massachusetts, New Jersey, New York, Oregon, Rhode Island, and Vermont – will have Hyundai dealerships that carry the Plug-In Hybrid Sonata alongside all the others in the Hyundai lineup. Mike O’Brien, Hyundai vice president of corporate and product planning, made it clear that dealerships in the remaining 40 states would be encouraged not to carry the PHEV, as the feeling is that there just won’t be a large enough demand to make it a viable option. There are certainly some good reasons for sticking with the 10 ZEV states, and it all begins with the existing charging infrastructure. These states are taking the necessary steps to ensure that there are convenient charging stations made available to plug-in owners. While O’Brien conceded that the infrastructure in the remaining states was not yet where it needs to be, he did say that Hyundai customers located in those states could still go ahead and order the 2016 Sonata plug-in hybrid car if that is what they really wanted. O’Brien also spoke about sales of existing PHEV vehicles made by the competition, with more than half of all sales of those brands originating in California. He believes that it makes sense to target customers in that state first, whilst also making it clear that the new Hyundai Sonata plug-in model will still be available all across the country. As far as the purchasing process goes, it will be pretty similar to buying any other type of Hyundai vehicle. The customer will start by choosing between a car that relies on 110-volt outlets for charging, or moving up to a Level 2, 240-volt charger. While no details have been revealed yet, Hyundai has stated that they will inform dealers to offer a charger from a preferred partner. Going with the 100-volt setup means charging the 9.8-kWh lithium-ion polymer battery will take about 9 hours. That time is cut to about 3 hours with the Level 2 charger! O’Brien explained that the technical elements of the Sonata plug-in model are basically the same as those found in the Sonata Hybrid. What that means is that dealers and service employees will not have to undergo any new training in order to get up to speed with what is offered with the plug in model of 2016 Sonata.